S.A.F.I.R.E. is dedicated to providing a networking venue for women in all real estate businesses to come together to ask questions, learn, share tips, ideas and to empower each other. 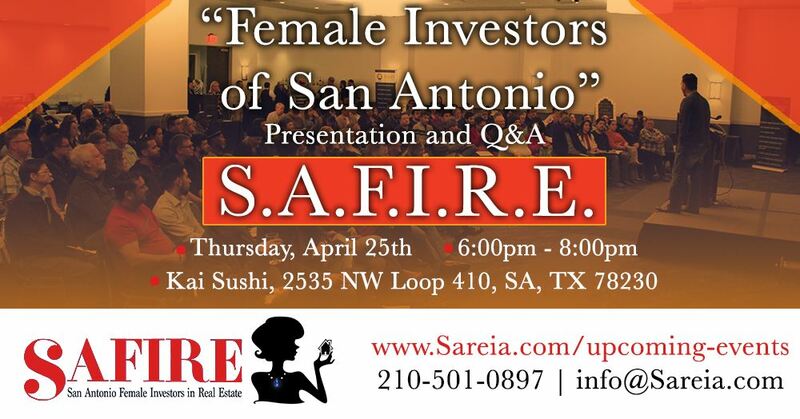 Email us at info@sareia.com or call 210-501-0897 if you have an questions!